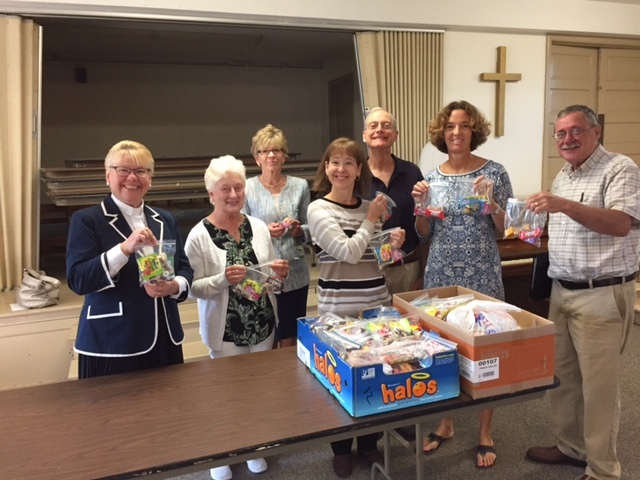 Members of Grace Lutheran Church Broomall gathered during the Sunday School hour and filled goodies bags with candies and small prizes for the children of Martin Luther Silver Springs School. These will be taken to the school during this week so the staff at Martin Luther Silver Springs School can give to the children as treats. Pictured below from left to right are Pastor Leslie Richard, Jeannette Hunter, Sue Roberts, Sue Reminger, Bruce Reminger, Trish Young and Rus Stahl.